A Boeing 737 MAX 8 aircraft, the same model involved in crashes of Ethiopian Airlines (March 10, 2019) and Lion Air (October 29, 2018). Photo by Liam Allport, CC BY 2.0. When the Ethiopian Airlines Boeing 737 MAX 8 went down just outside the country’s capital, Addis Ababa, on March 10, 2019, it was the second Boeing 737 MAX crash in five months. In October 2018, a Lion Air flight crashed into the ocean off Indonesia just minutes after takeoff. In both cases, there were no survivors. The accidents have raised concerns about the integrity of the jet’s design, with many international aviation authorities taking measures to suspend the MAX from operating in their airspace. The grounding remains in effect pending further investigation, which would include analysis of the aircraft’s flight data and cockpit voice recorders. None of this, however, seems to be doing much to reassure Caribbean travellers, whose concern hinges around the fact that Caribbean Airlines (CAL), the third largest carrier serving the Caribbean and Central America, had previously announced its intention to lease this model of jet. The first Boeing 737 MAX 8 is scheduled for delivery in December 2019 and CAL therefore has ample time to make alternative arrangements is this model is found to be unsafe. Calling the article “alarmist”, Imbert noted that American Airlines uses the same aircraft “to service its flights in and out of Trinidad every day” and “if passengers were really panicking, then they would certainly be concerned about travelling […] on an airline which already has the Boeing 737 MAX 8 in regular service”. 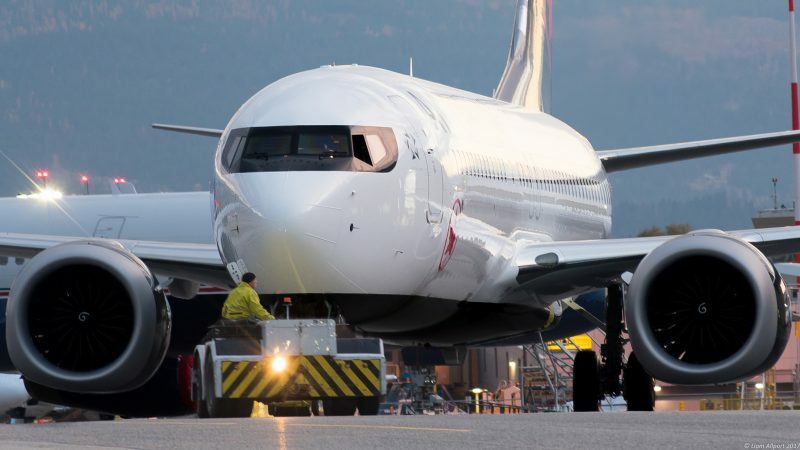 The following day, Trinidad and Tobago’s Civil Aviation Authority (CAA) prohibited both the Boeing 737 MAX 8 and 9 from its airspace until they are deemed safe for use. The newspaper interpreted this as some sort of vindication — but that spat aside, what exactly is the issue with the 737 MAX? Judging from the similarities between the Ethiopian Airlines and Lion Air crashes, the challenge appears to lie within the aircraft’s Maneuvering Characteristics Augmentation System (MCAS). In this system, there is a sensor designed to detect when the plane stalls. This type of “stalling” has nothing to do with the engine; it means that the aircraft is not producing the lift needed for regular flight. This happens when the wing of the plane exceeds what is called its “angle of attack” — and in the Boeing MAX 8, the system responds by automatically pushing the nose of the plane down to get airflow back over the wing and prevent the stall. Boeing originally touted this new 737 model as a “seamless” upgrade from its older planes — one that would spare airlines the significant cost of retraining. In earlier Boeing jet models, the cockpit crew is trained to disconnect the stabiliser trim and manually fly the plane should this occur; this involves flipping two switches. In the MAX 8, the pilot still has the ability to disconnect the automation and regain control of the aircraft, but several international pilots who have flown this model complained about a lack of information from Boeing. However, no definitive conclusions can — or should — be drawn about the integrity of the aircraft until the report into the Ethiopian Airlines crash is made public. While Boeing has increased the dependence on computerised flight in an effort to make aviation safer and reduce the workload of pilots, erroneous information and faulty readings relating to the angle of attack — as may be happening with its 737 MAX 8 — can make pilots’ jobs more difficult. The general feeling from industry experts within the region is that Boeing will deal with the issue by making modifications to the design and increasing the level of training. Caribbean Airlines has issued a statement that notes, among other things, its impeccable safety record, that it “does not fly the Boeing 737 MAX-8 aircraft” and that “if the Boeing 737 MAX-8 aircraft fails to meet any of the very stringent requirements, it will not, and in fact cannot be added to the fleet”.